THE CITIZEN ROSEBUD: New Year, Same Old You. Every time a new year rolls around on a calendar, grumbles about the obligatory New Year’s resolutions tumble out. You feel pressured to make them, and almost inevitably break them. Gym memberships boom, only to treadmill to an empty room. Or something like that. You want to lose weight, quit Facebook, read more, cuss less, be a better mom, better wife, better boss. Better anything really, just something to assure yourself that your annual spin around the planet, was time well spent. get organized, exercise, lose weight, eat healthier, learn another language, (ya know, something cool like French, or Portuguese.) 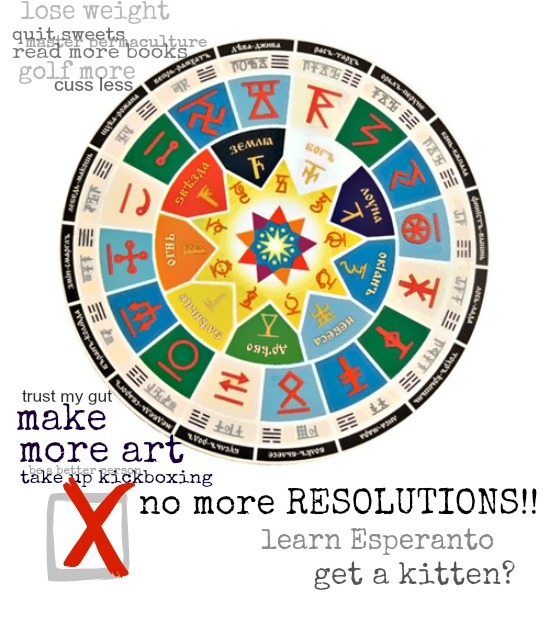 Some years, I make it Esperanto, because from the get go, a part of me knows it’s never going to happen. I then resolve to not resolve, and make the resolution to quit making New Year’s resolutions altogether. This year, I’ve trying a new tact: to make my resolutions, and be ok with the fact that at least half of them are whims, fancies and follies, and aren't things I’m going to actually follow through and do. I've resigned myself to resolve. And, to be ok with the likely failure of my resolve. Resolutions aren't necessarily about a cold call of changes, but providing room for desired improvement, and kindling a vital hope that you are a mistress of your destiny. Whatever your resolve at that last stroke of midnight, it’s not really about making it in to the gym, or stepping away from the plate of cookies, or taking up gardening, golf and Esperanto, is it? It’s about realizing and updating the course, you’d like that life of yours to take. DESTINATION: celebration. You might make the same resolutions year after year, and you might, like clockwork, fail to keep them. So what? Each little tweak of your hopes and dreams can fine tune the direction of your journey. The adventure is all yours; your vehicle is your armchair, a porch stoop, your window view. 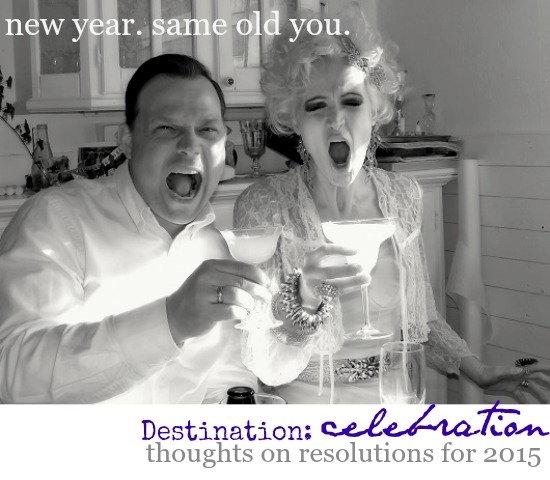 Celebrate your same ol’, same ol' as you renew your focus and direction, year after year. With so many plates spinning, it's good to check in and see what’s the house special when it comes to the menu of fine living. How do you want to live your life? Where do you want to live it? 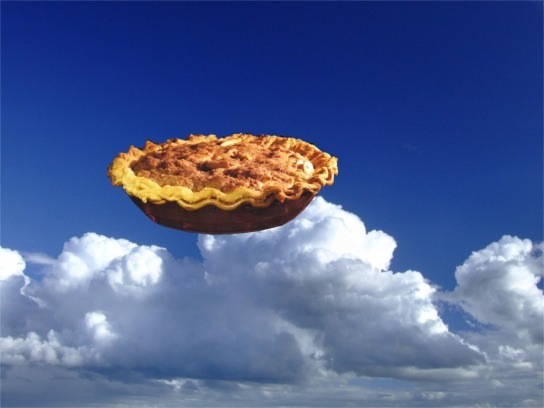 It might be pie-in-the- sky and a slice of hooey, but then again, there's always room for pie, yeah? 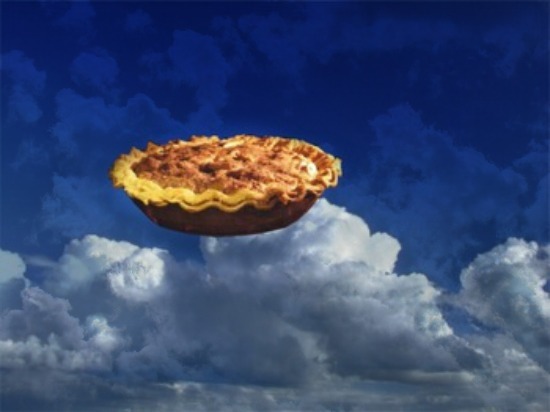 Pie, in the parlance of a mathematician, is infinite. Pie in the parlance of a baker, is delicious. With the right filling, your life can also be delicious. It's your life, you do get some say in how things get done. 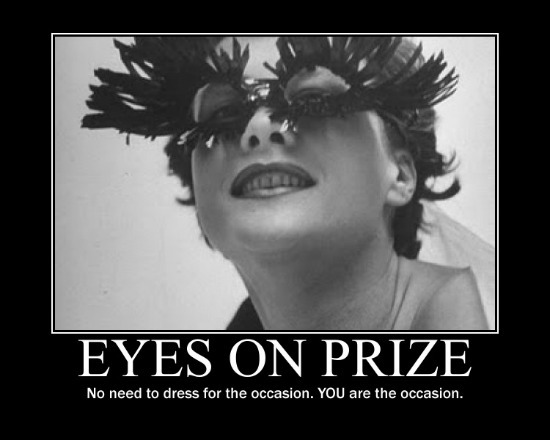 This year, I resolve to celebrate who and where I'm at right now, a farts, warts and all, kind of celebration. Because, I'm nowhere near perfect, not even close. I’ll never be a Martha Stewart, an Oprah Winfrey, a Cate Blanchett, or even on my BEST day, you. My house most likely will never be cleared of lacy corner cobwebs, the herd of dust bunnies under the bed or the cupboards being overwhelmed by mismatched china. And I'm ok with that. Are you ok with being ok with being you? Because you seem pretty damn good at being you. Now, if you want, go ahead and feel around inside, check in with the areas of your life that might need a little attention, a little TLC, so to speak. Do you feel like fixing some of the stuff that might make the daily grind a bit less uh, grind-y, and more enjoyable? 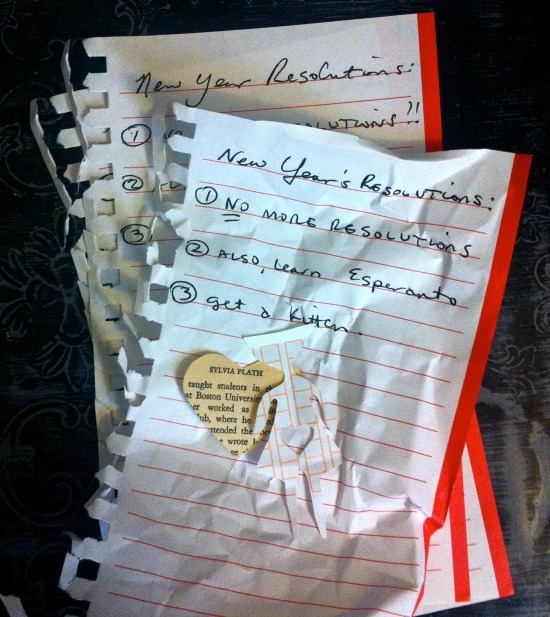 Resolutions are self-empowered plans of attack for solutions. You can choose to do whatever it takes to get your life better aligned with your hopes and desires, you can campaign for change, or resolve to be ok with your status quo. No losers here. Do with it as you will. All I’m going to say is that grumbling lips don’t make a pretty mouth, and pouts don’t have much clout in 2015. As dog-eared as the FOLLOW YOUR BLISS cliché might be, it’s still got some legs to it. So go for it. Have at it. Do you know what makes you happy? 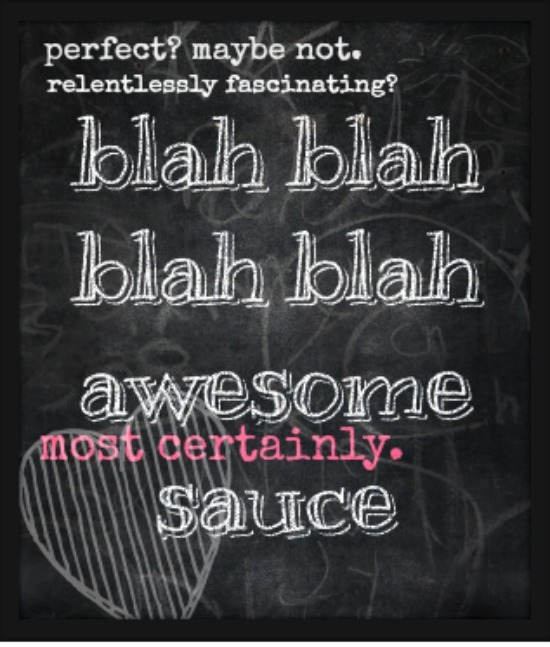 If not, I invite you to explore and discover the things that spark your happy dance. If you do know, well then, Madame-President-Martha-Stewart-Oprah-Winfrey, you are WAY ahead of the game, so congrats. May I suggest a plan of action designed to linger longer in those happy spots? For me, it might be making a commitment to eat more delicious pie AND to exercise more to keep it off the swelling waistline. Is it taking up a new hobby? Training for a marathon? Learning Mandarin? Mastering a practice of something, not only adds value to your skill set, but sharpens the edge of who you are. Learning is for the young, and the young at heart. You’ve survived, perhaps thrived, another 365 day turn around the planet. Older, wiser, and possibly better than ever. There’s a chance that this new year will be similar to the last. And, on the off-chance that similar is pretty damn good- all you need is a few tweaks: your New Year’s resolutions might be the jump, to bump it up a notch. 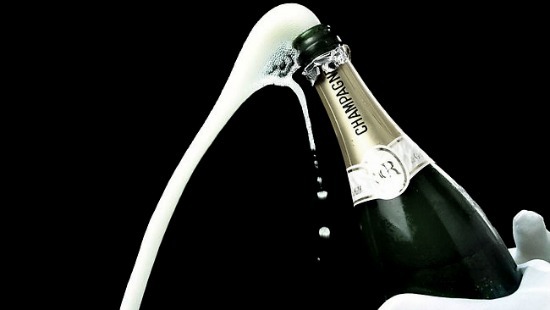 After all, if you're actively involved in the development of your life, your next New Year's might demand a bit more bubbly to celebrate it. That’s the flint of these calendar resolutions: they're mere fodder to spark your own personal, internal revolution. New year, and the same old you. Which, in spite of your recent weight gain, hearing loss, short temper, even shorter attention span, and your indefensible love of cheesy rom-coms, IS a pretty good person to be. Make a resolution to be the best you, ever. Insert favorite motivational poster quote here. Chalk it up as your best you in your best year ever. This year, be true to your truest, happiest self. What you do, and how you do it, is up to you. Here’s to your most potent, and powerful year yet. What can I say? Fantastic! So well written ...sharing all of it now. Fill your house with cats! Life's better with felines. Great post in every way!I promise that Magnus (the roaring man) will have the honor of bring me many marguritas.